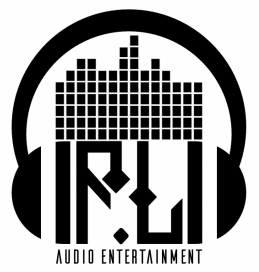 FastLyfe Audio Entertainment was founded in Upstate New York in June of 2011 by Christopher Rayburn aka DJ REIGN. Our vision has always been to make every event memorable and fun for all. As our resume below shows, in NY DJ Reign spun at a variety of bars, night clubs, parties, and weddings. In 2014 FastLyfe Audio Entertainment relocated to Charlotte, NC. We now offer our disc jockey services throughout the Carolinas, specializing in private events and weddings. DJ Reign’s passion for music truly shows at every event he spins, with his unique ability to cater towards any crowd he is sure to take your party to the next level. We have over five years of experience in a wide range of music including: dance, top 40, hip hop, R&B, house, EDM, deep house, trance, dub step, trap, country, reggae, reggaeton, rock, disco, and more! The sky is the limit at FastLyfe! We are extremely flexible, and can create a custom package to fit your event perfectly. Call or email us today at 1-585-815-2086 or fastlyfe29@gmail.com to discuss how FastLyfe Audio Entertainment can meet your needs.